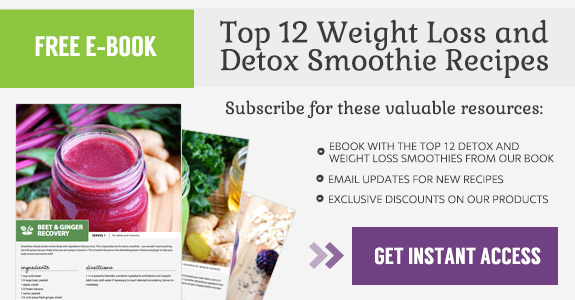 This easy, surprisingly delicious detox smoothie will equip your body with plenty of fiber and antioxidants. The myriad of powerful ingredients combine to make a gorgeous pink drink that will give your body the nutrients it needs. Use a powerful blender to get the creamy consistency. The liquid base of the smoothie starts with coconut water. If you are not a fan of coconut, you can substitute regular cold water in the recipe. Coconut water replenishes electrolytes, due to its high amount of potassium, and helps to hydrate the body. It also contains calcium and magnesium. Strawberries are rich in vitamin C, benefiting your immune system. Many ingredients in this smoothie aid in digestion because of their fiber content, strawberries included. The little red berries also contain antioxidants that protect against the growth of tumors and certain cancers. The apple adds a little sweetness to this smoothie, as well as providing an excellent source of soluble fiber. A little bit of apple can help to balance your body’s blood sugar levels. Apples may also help reduce the affects of asthma, and lessen the risk of developing Alzheimer’s. An apple a day indeed. The smoothie gets its creamy texture from avocado. Avocadoes are high in healthy fats and fiber. They have anti-inflammatory properties and also help to lower blood pressure. For vegans or vegetarians avocadoes are also a good source of protein. 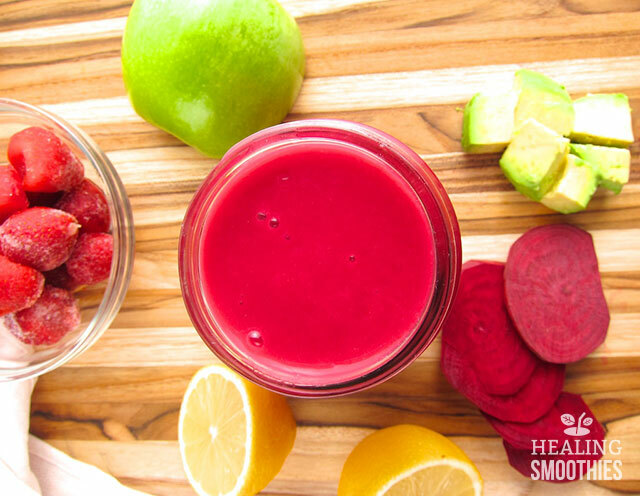 A small beet is recommended for this smoothie so that the earthy flavor does not overpower the rest of the ingredients. 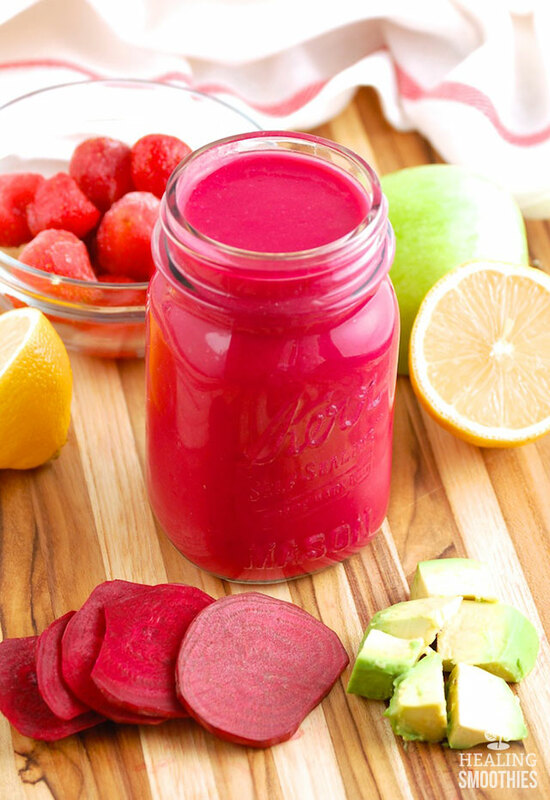 Beets are one of the best detoxifiers, working with the liver to flush out toxins. The small and colorful root vegetables also provide iron and nitrates, which lower blood pressure. Lastly, a squeeze of lemon juice is included. Besides adding a tart flavor, lemon contributes vitamin C and iron to the smoothie. It also further detoxifies the liver (in addition to the beets) and alkalizes fluids to balance out your body’s pH levels. 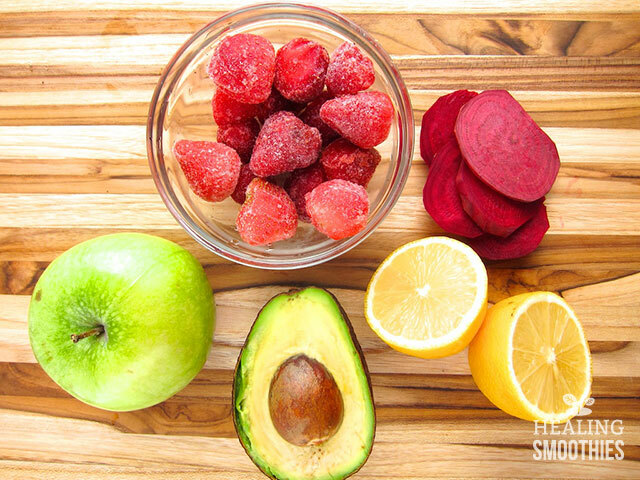 This beautiful bright smoothie packs in quite a few ingredients that are optimal for your health. And somehow it comes out tasting refreshing, sweet, and delicious. 1. In a powerful blender, combine ingredients and blend until smooth. Add more coconut water if necessary to reach desired consistency. Serve immediately.